Hannah Featherstone is a British artist. Her music is a fine balance between pop, jazz and soul. Her voice floats, her piano grooves. 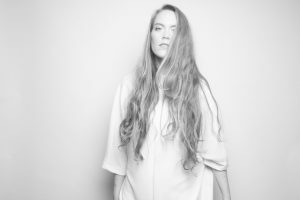 Born in England and raised in France, over the years Hannah Featherstone has developed a love for languages and the patterns and rhythms of sound. From an early age, she studied classical piano and performed as a singer in gospel choirs. She later extended the character of her voice by enlarging her repertoire through improvisation in jazz, world and instrumental music. The compositions from her first solo album, Comfort Zone, are a reflection of this subtle blend of styles. Currently living in Paris, she is making her mark in the French music scene, playing in iconic venues such as the Olympia, le Parvis de Notre-Dame de Paris et du Sacré Coeur, la Bellevilloise, le zèbre de Belleville. 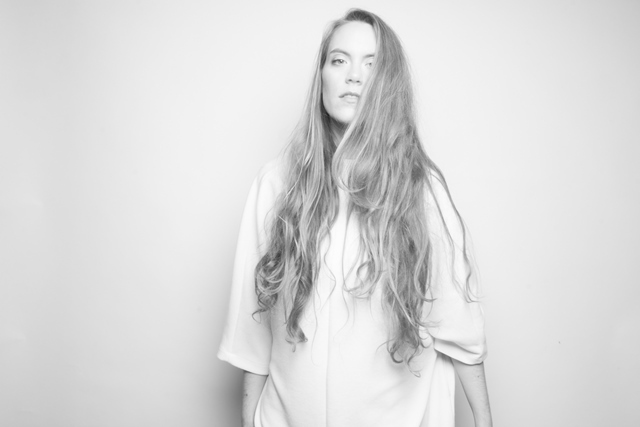 Her collaborations with artists from Holland, Germany and Greece have enabled her to develop a European following. She’s now keen to return to her roots in her home-country, England. 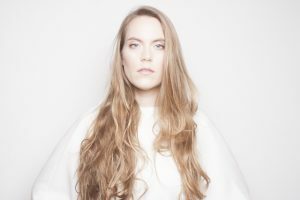 Her new single ‘Solo’, from her upcoming album due to be released later this year, is an image of a solitude which is both peaceful and restless. Hannah Featherstone has collaborated on this recording with young French electro musician, Estienne Rylle. His fresh approach to sound production provides her with a minimalist backdrop that highlights the raw presence of her voice. Hannah and Estienne teamed up with visual artist, Noemie Daval, to create a soft but dynamic music video. In a house in the centre of France with live music blasting out from the rooms around me. I’m on tour with a British orchestra for the week. Some are tuning their instruments, others are rehearsing. But most of the time, I actually work in silence. I find music way too distracting and I never seem to be able to focus on anything else when it’s on, no matter what volume it’s at. The song that gets me out of a bad mood as soon as I hear the first notes is Emiliana Torrini’s Jungle Drum. I grew up in a musical family so music has always been part of the picture and I’ve always loved it. I started playing the piano when I was very young. Mum would sit beside me and help me persevere as I, often reluctantly, practiced my scales and pieces. But strangely enough, being a musician has never been a particular dream of mine. I felt that everyone around me was already doing lots of music and that they were so talented, so I dreamed of doing something completely different. But I guess music was somehow always going to catch up with me… And I’m glad it has! I’d probably be a teacher or a social worker. I studied psychology at Uni and have been teaching English in France for years. I’m always encouraged when I see growth and transformation on people’s faces – that moment when the penny drops and suddenly a new set of ideas and possibilities come flooding in. I couldn’t do a job where I’m not in direct contact with people. That’s also what I love about music. I always like to ask artists about where they came from and how that city or town has influenced them as an artist now. So how do you think your home of Paris has affected who you are as a musician and the art that you create? I was born in Kent in England but I moved with my family to the countryside in the centre of France when I was four years old. I was a bit of an outsider in the village as they’d never met any English folks before we arrived. I was never really at home in England either. So I’ve always been more comfortable as an outsider and as someone who doesn’t quite fit in a box. I think my music is representative of that too. As for Paris, it’s a city that encourages art and creativity. Being surrounded by so many other talented artists has pushed me to be bolder. What has it been like making a name for yourself in Paris? Why do you think your music has really been able to break through the French music scene? How often do you return to your home country of England? Making a name for myself in Paris has been a fun challenge. I think surrounding myself with other great musicians and friends has been a big part of my success. I’ve shared great moments with them and had the opportunity to play alongside them in iconic places such as the Olympia. I go back to England to visit family and friends and to take part in various music projects several times a year, and I’m planning a few more concerts in the UK the late Autumn. What was the inspiration for your newest single “Solo”? How does it prepare listeners for the rest of your album to be released later this year? What was it like making the video for the song? It’s about the jumbled feelings of love when you don’t quite know where the relationship’s heading. The anticipation and sometimes frustration combined with a feeling of serenity. The rest of the tracks are similar in style. They are all based around my piano and my voice supported by electro sounds by Estienne Rylle and drums by David Allevard. I’ve always enjoyed playing with my voice and experimenting with sound, so this album has been a great opportunity to take that to a whole new level. Making the video for Solo was also great fun as it was a first for all the team. Estienne directed on the day. Noémie Daval took the digital data and corrupted it to make the glitch effect. I’m so happy with the result. It perfectly portrays the mood in which I wrote the song. What has been a favorite experience through all of this? Where do you think you are happiest-on stage performing, in the studio recording new music or elsewhere? What I’ve enjoyed most is the diversity of the places in which I’ve played, whether in front of thousands in a big gig venue or just in a living room concert interacting with a small audience. I’m happiest when I feel a sense of complete ease and freedom on stage and in studio. When what I had carefully planned gets swayed by something unexpected and I just roll with it. Nothing really beats that. I’ve got a set of festivals and living room concerts coming up in Holland, Germany and Brussels throughout August and I’ll be doing some more in France and in the UK in the autumn. I’ve been inspired by Bobby McFerrin. His vocal improvisation and the way in which he involves his audience in the singing is amazing. I also love Camille and her ability to play around with her voice and Fiona Apple’s power chords and vocals. Any one of these three would be an absolute dream to work with. I’d also love to work with Lizz Wright. I met her briefly after an amazing concert of hers in Paris and I loved her humility and her spirit. Imogen Heap too. It’s so easy to get tangled up in feelings of defeatism these days and music is often a distraction from that. I’ve been fascinated by the power of words on our understanding of things. Through language, we label our peers, our surroundings and even ourselves. Through my music and lyrics, I like to point to something greater than ourselves and our than our various worldviews, and suggest that there is more to all this than meet the eye. Don’t rush into anything. Work with people you trust. Have the confidence to promote your work and the humility to question it. Just to stay tuned ! I’ve got a few new songs on the way and my new album will be coming out in the fall.